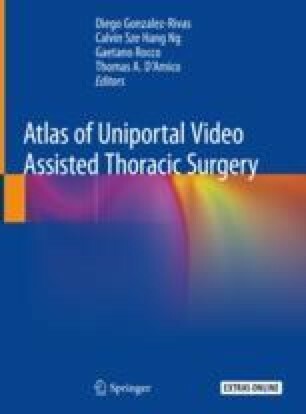 To minimize surgical invasion and morbidity, video-assisted thoracic surgery (VATS) techniques, were developed and proven feasible and safe. Furthermore, long-term results proved comparable to thoracotomy, for resection of lung cancer , esophageal cancer , and thymic tumors , but with less morbidity. However, compared with thoracotomy, there is a steep learning curve with VATS because of poorer optics of the hilar structures and dissection planes that result from the two dimensional (2D) view.